Using fluorescence microscopy to study the components and processes of cells, tissues and organisms is not of course a novel investigatory approach, as it dates back to the early years of the twentieth century. However, the widespread use of this methodology had to wait for the commercial availability of fluorescence microscopes, in particular for commercialised confocal instruments. The parallel flowering of fluorescent probes for use with such microscopes, together with the continuing evolution of novel and powerful optical systems, further accelerated uptake of such methods within a wide variety of biomedical fields. 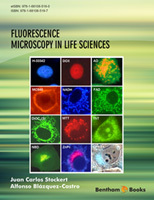 Consequently, many books — and even more chapters and reviews — have considered various specific aspects of fluorescence microscopy or, less often, provided more global overviews. Nevertheless, even in this crowded field, the present volume is ambitious, adopting, as it does, a rather different approach to most of its predecessors. A key difference is its inclusive approach. Thus this book adopts a firmly didactic approach on the fundamentals and the applications of fluorescent microscopy. The aim is clearly to bring biologists and physicians up to speed with a basic knowledge of the physical chemistry, technical equipment, and practical manipulations underlying a functional understanding of fluorescence methods. However, the book also provides sufficient detail of practical applications, within an intelligible biomedical context, to allow readers whose backgrounds are chemistry or physics to understand the types of problem which are currently addressed by this approach. But more than that, to grasp possible future expansions of applications of fluorescence microscopy. Another marked characteristic of this book, supporting and illustrating the features discussed above, are the numerous, informative and often visually attractive coloured figures. Presumably it is the use of an e-book format which makes such lavish illustration possible. So do I think anything is missing? Well, there is no significant account of the burgeoning field of clinical diagnostic applications of fluorochromes – to detect or indicate the borders of tumours for instance. Nor of “smart probes” – those imaging compounds which exploit biochemical quirks to obtain selective staining, for instance of particular tumour cell lines. But no book can be all things to all people – and this book is certainly a remarkable fusion of information, explanation and beauty. In fact it’s hard to imagine who wouldn’t benefit from having this volume available for repeated consultation and, just as valuably, for mind and possibility-broadening browsing. The current use of light for so many applications is without precedence in history. If the 20th century would probably be recalled as the “age of the electron”, then the 21st century will be, undoubtedly, the “age of light”. In the Life Sciences one of these light applications is at the very foundations to obtain knowledge: fluorescence microscopy. Fluorescence microscopy has offered, since its inception during the second half of the 20th century, a definitive enhancement in the signal-to-noise ratio in comparison to bright field microscopy. This increased contrast has done nothing but to grow as the years have passed by, accompanied by an unprecedented increase in resolution too. The improvement in resolving power has reached a level that empowers fluorescence microscopes to image nanoscopic objects with a detail that rivals some electron microscopy techniques. All of these without forgetting that fluorescence microscopy allows for real-time assessment of live samples, something at the reach of not so many analytical techniques. Our goal with this book has been to present a straight, didactical work. We have strived to present all topics in a practical way, with as many real-world examples as possible. Also our aim has been to introduce concepts from an as intuitive as possible perspective, without neither being over simplistic nor eluding the theoretical foundations of the underlying processes. From our experience there has been a lack of a didactical work that presents fluorescence microscopy, as encompassing as the field is, to the broad audience in the Life Sciences. Therefore our intention has been to present a comprehensive yet user-friendly compendium of both basic and advanced topics in the field. The book has been structured in three parts although it has not been explicitly divided into such. The first part (Chapters 1-7) presents the general concepts and processes to understand fluorescence microscopy, both from theoretical and applied points of view. The second part (Chapters 8-17) focuses on the main application areas of fluorescence microscopy. Our approach for this has been to present the principal biomolecules and organic molecules that make up living organisms and how fluorescence microscopy is employed in every case to obtain useful information. Finally in the third part (Chapters 18-20) we introduce to the reader some of the new application fields of fluorescence microscopy, many of which (e.g. luminescent nanoparticles or multiphoton microscopy) have evolved from interdisciplinary overlap with other scientific areas (solid-state physics and non-linear optics). Fluorescence microscopy is a continuously evolving field, as we can testimony during this book writing process. As a consequence many techniques introduced in the book will transform over time. But our intention has been to make the fundamentals as clear and approachable as possible. Understanding the supporting concepts ensures the comprehension of the techniques, no matter their evolution and improvement. Finally there is, we must admit, an aesthetic side in fluorescence microscopy that makes this technique so appealing. The pure colours and intense contrasts commonly seen in fluorescence images put many of them on pair with art pieces. Truly an image speaks more than a thousand words when talking about fluorescence microscopy. In this sense, we coincide with Francis Bacon when he stated: “The beholding of the light is itself a more excellent and fairer thing than all the uses of it”.